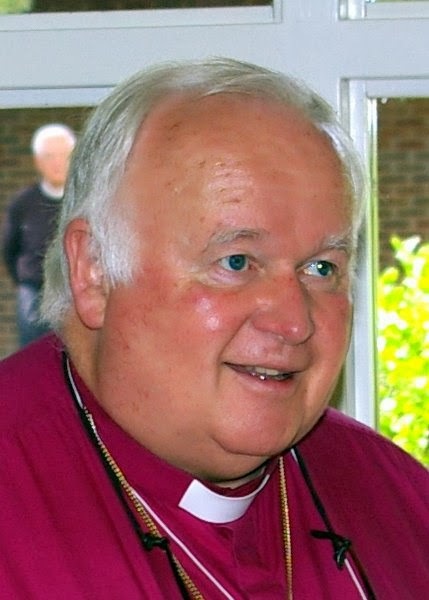 I first met Bishop John-David Schofield as part of the international Forward in Faith team witnessing to and reporting from the 1998 Lambeth Conference. We had a number of conversations during that time, and our paths crossed occasionally in the years that followed. Bishop Schofield was a Gospel man in whom the “three streams” of Anglican renewal (Anglo-Catholic, Evangelical and Charismatic) flowed together without contradiction to the glory of God. A fellow priest of the Society of the Holy Cross (“SSC”), he was gentle, kind and courageous, often very funny, and always encouraging others to trust in God’s goodness and love. May he rest in peace and continue to grow in the love of the Lord Jesus whom he served with all his might. Bishop John-David Schofield was a great man of God. I – like so very many others – shall miss him terribly. His spiritual depth twinned with his unparalleled sense of humor made him one of a kind. The Renaissance poet Dante Alighieri once likened the sound of heaven’s perpetual “Holy, Holy, Holy” to “the laughter of the ages.” With our beloved late Father-in-God now swelling the chorus, there will be more laughter than ever. Ours is the loss. Jesus is our hope. Rest in peace dear friend. The death of the Right Reverend John David Mercer Schofield, SSC, 4th Bishop of the Diocese of San Joaquin, has touched the hearts of many people throughout the world, and particularly those Traditional Anglicans who looked to him as a courageous leader, who took seriously his vows as a Successor of the Apostles and a Defender of the Faith once delivered to the Apostles. A cradle Anglican with deep English roots, Bishop Schofield’s life embodied the breadth of Anglicanism: Anglo-Catholic in theology, Evangelical in proclaiming the Gospel, and Charismatic in expression. Those with a limited view will remember him primarily for his staunch defense of the Catholic Faith which resulted in his participation in numerous events that challenged the Catholic order of the Episcopal Church. Indeed, his election as Bishop of San Joaquin very nearly was not approved by the General Convention due to the fact that he maintained the historic and received view regarding Holy Orders. His participation in the Righter trial was due to his belief that Conventions do not have the authority to alter that which was received regarding both Holy Orders and the Sacrament of Holy Matrimony. His brave defense of Orthodoxy resulted in his Diocese concluding that in order to remain faithful Anglicans they needed to participate in the realignment of North American Anglicanism resulting in his expulsion from the Episcopal Church, endless litigation by that ecclesial body, and public statements including a booklet which mischaracterized him. In the spirit of the Beatitudes he continued to glorify God with joy, drawing upon the spiritual strength bestowed upon him by regularly being at the Altar, hearing confessions, offering spiritual direction, delving deeply into the Scriptures, reading carefully the Church Fathers and being immersed in the outpouring of the Holy Spirit. The “Bishop John-David” not portrayed in magazine articles was generous with all people, a great lover of the arts, particularly Opera, and enthusiastically engaged in the culinary arts. Being hosted by Bishop John-David was a bit like having a foretaste of Heaven. One day he heard of a Bishop whose ring had been stolen. He immediately took off his own and placed it on the finger of the Bishop. It has been been said that the mark of a holy man is when one is in his presence and feels as if there is no one else in the world at that moment. As a result he had many spiritual sons and daughters who looked to him for guidance, counsel, encouragement and prayer. He was a leader in virtually every organization or movement that has sought to preserve the received Faith, among them Forward in Faith and its predecessors and Nashotah House. His contribution will be missed, but the promise of his prayers before the throne of Grace at the Altar in Heaven will be a great consolation for us who are left behind in our earthly pilgrimage. He who was “larger than life” is now in the “larger life,” and as we approach All Saints Day and All Souls Day we will remember our beloved John David. May he rest in Peace and Rise in Glory. Pax tibi dear bishop. He was a faithful bishop and a man of steadfast faith. My cousin Janet Wilcox introduced me to him about 30 years ago at General Convention in Indianapolis. She knew him very well. I was still a "priest" and though he and I at that time would not have agreed on WO, he was very gracious. We have only just found out about the sad death of Father David. He will be so missed by all his friends in England. He was a dear friend of my Mother Betty for over 50 years.